Edward Pawłowicz h. Przyjaciel was a teacher, a high school director, a social activist and a philanthropist. He was born on March 30th 1837 on the Łabgiry estate in Lower Lithuania (Samogitia – Żmudź) and died in the Powyrwicie manor (Pavirvytės dvaras) on July 16th 1894. His parents were Józef Bernard Pawłowicz, the administrator of some of the Zubov estates in Lithuania, and Maria Dokalska. He had two sisters: Stephania (1826-1868), married to Izydor Lipski, and Emilia (b. 1839, d. unknown). Around 1860, Edward married Maria Szaniawska h. Junosza (1842-1905), whose father was an archivist, a lawyer and a regional historian in Kalisz. They had 9 children (5 girls and 4 boys): Jan (1867-1942 ), Kazimierz (1869-1927), Maria (1871-1898), Józef Marian (1872-1941), Jadwiga (1874-1912), Aniela (1875-1959), Zofia (1878-1936), Wanda (1880-1956) and Edward (1881-1961). 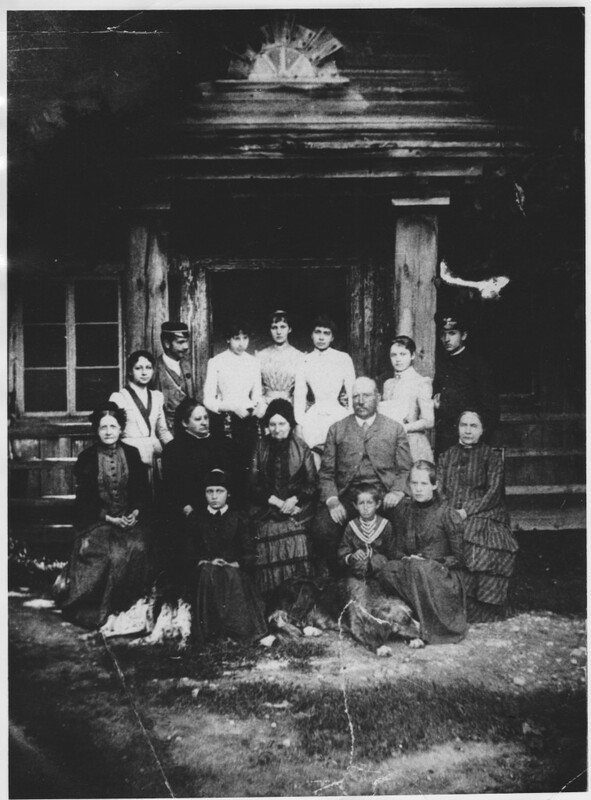 The family photo above was taken in front of the Powyrwicie manor around 1888. In 1856 Edward Pawłowicz graduated from high school in Šiauliai and began medical studies at the University of Moscow. He then moved to the Faculty of Sciences at the University of Dorpat, from where he graduated with the degree of Candidate of Sciences in 1861. A year later he became the teacher of natural sciences and geography at the State Secondary School for Boys in Kalisz, where he also taught Mathematics and Physics. As from 1866, he started teaching at the high school for Girls, also in Kalisz. Pawłowicz was a member of the Charitable Society and the Music Society in Kalisz and the Society for the Encouragement of Fine Arts in Warsaw. He belonged to a group of Kalisz intellectuals, who met at the Hotel Berlin (at Marian Street) to organise and refine the socio cultural life in Kalisz. He organized social evenings at his home, promoting poetry recitals and concerts. In 1873, he resigned from his job and founded a 4-class private secondary school (Gimnazjum). In its first year, already 86 students enrolled. After two years, the school was transformed into a 6-class Royal School (Szkoła Realną) , one of the best in that Polish province and known as the Pawłowicz School. As the director and manager of the school, he cared about the qualifications of the staff and tried to ensure a high level of teaching by recruiting former Polish high school teachers from government schools. In spite of the Russification in the 1880’s, Pawłowicz openly supported the Polish culture and the school became a center of resistance against the Tzar. He funded the school and struggled with financial problems but managed to get support from the local community and surrounding areas. The local newspaper Kaliszanin regularly published news and reports about the condition of the school. In 1883 Edward left the school he founded to establish himself on the Powyrwicie manor, which he inherited from his father. The school continued to run under Konstanty Jerzykowicz until 1893, when it was taken over by the government. 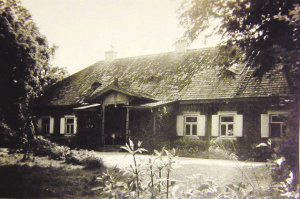 As a gift from the school, he received the wonderful Polish school library, which he brought to Powyrwicie (Pavirvytės). After his arrival, thanks to his advice and efforts, the Polish Flying Library (similar to the Flying University in Warsaw) was founded, in which participated not only the Pawłowicz family but also many other members of the Lithuanian intelligentsia. 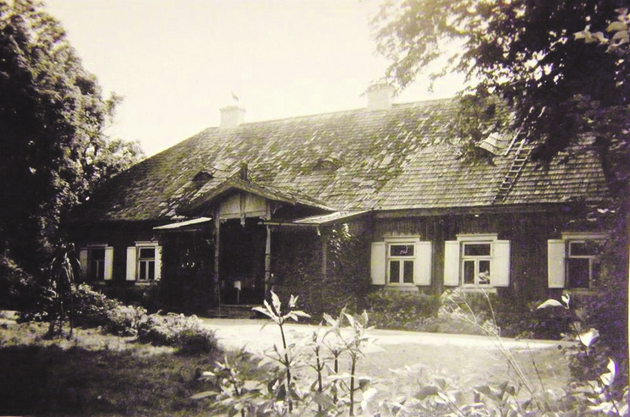 For more information on the Pawłowicz family in Lithuania and the Powyrwicie manor read: What I remember about the Pawłowicz and The Pawłowicz Powyrwicie. Halak, Mateusz. “List do M”. Życie Kalisza – tygodnik regionalny; Kalisz, Wielkopolska. http://zyciekalisza.pl/index.php?str=82&id=186327 Acessed: 2015-10-13.